Double-wall vacuum insulation and thermal lid keep beverages hot for 4 1⁄2 hours or iced for 20 hours. Stainless steel 12-oz. 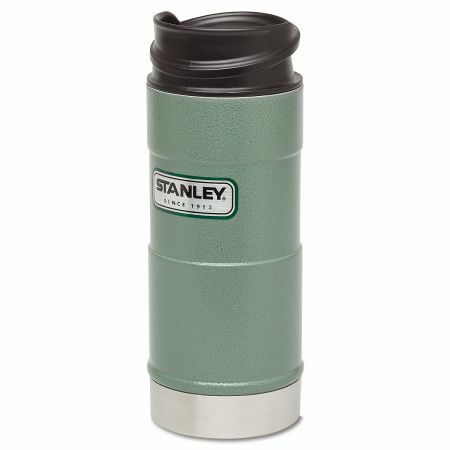 mug is rustproof and leakproof; push-button lid lets you open, drink, and close with one hand. Dishwasher safe.